Nothing says nurturing like homemade chicken soup. 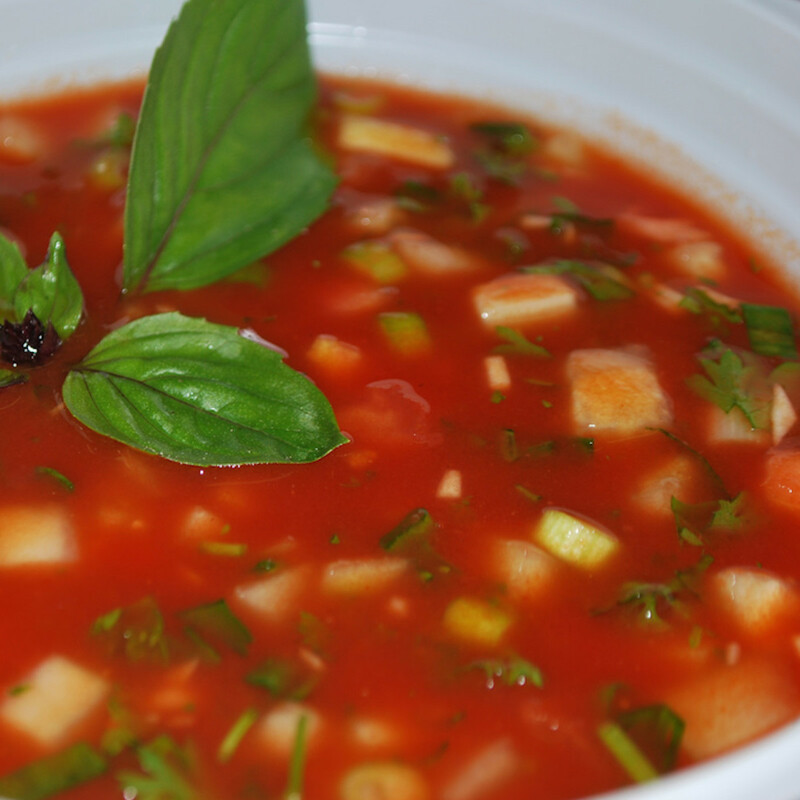 After all, feeding your family is part of nurturing them and what better way then to make your soup yourself. I watched my mother make this enough times growing up that when it was time to make it for my family, it just seemed like a natural. Nothing is easier, just fill up your pot with water and add the ingredients and let it cook. I also make other soups with a little more instructions then that, but this is my mom's way of making chicken soup. 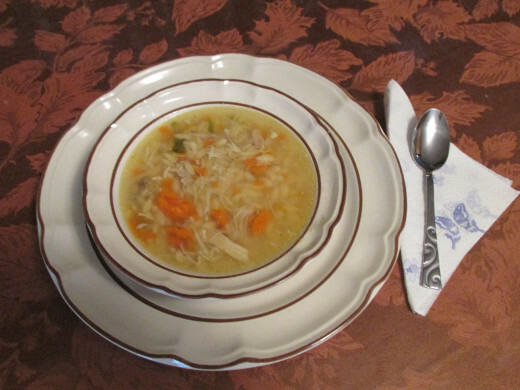 When someone was sick, it was always chicken soup; when it was cold and snowy or blustery outside, it was chicken soup. Need a great starter for a special dinner? Try starting off with chicken soup. 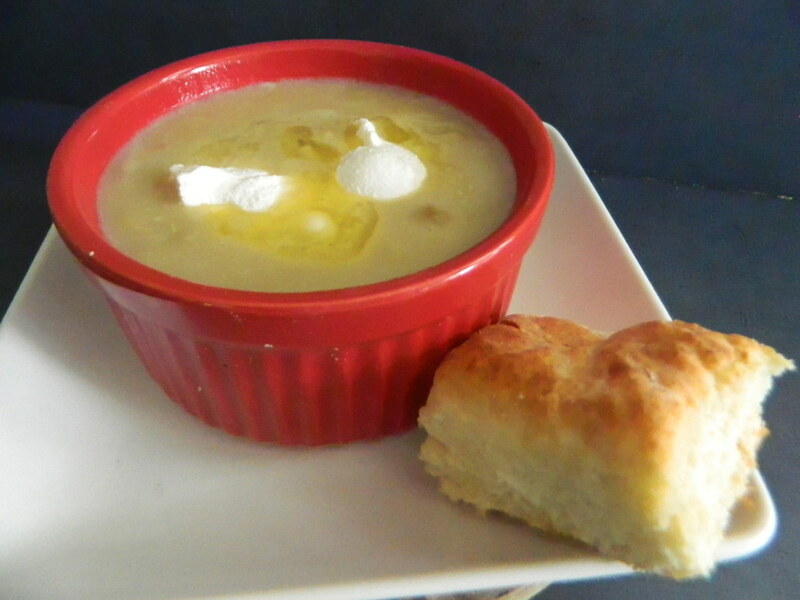 It's also good with sandwiches or just with saltine or oyster crackers to crumble in you soup. Children like it like that. The leaves have fallen off the trees, it's getting colder and the days are shorter. This would be a good time to "make some soup". Fill a large pot with 3 quarts + 2 cups (or 14 cups) of water. Add the vegetables and then the meat and then the seasonings. Bring it to a boil then down to a simmer and simmer with a lid a little off for an hour and a half to let the vegetables get soft and the meat cooked. Taste the broth at this point to see if you have enough seasoning in it. Shut off the heat and let it cool for a while then strain the soup into another pot . Take out some of the carrots and smash them with a fork and put them back into the soup. Then take out the chicken thighs and debone and skin them and cut the meat up in little chunks or shred it in small pieces and put that back into the soup. I used Orzo noodles but you can use what ever soup noodles you like. Bring the soup back to a boil and add a cup of soup noodles and cook until the noodles are tender. Cool slightly and then serve. Thank you Arlene. It so nice to hear from new people. I'm glad you love soups. Yum!!!! 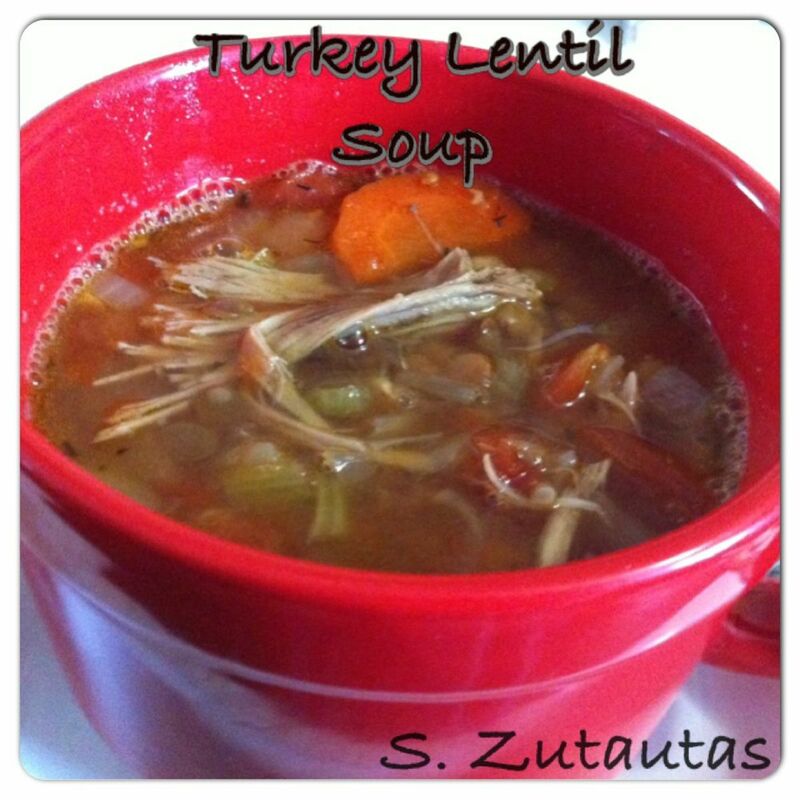 I love soups and will definitely try this out! Thanks for sharing! happy cooking Rachel! I'm sure it has appeared on almost everyone's table. Thank you for your comment. Chicken soup is a staple in our home. We love to have it all the time.